These days there are collaborations galore, with every new day heralding even more, from street labels to luxury houses. The sad truth is, many fall short of sparking the type of hype each wants, because frankly, most are boring to begin with, or priced till it is out of the reach of most. 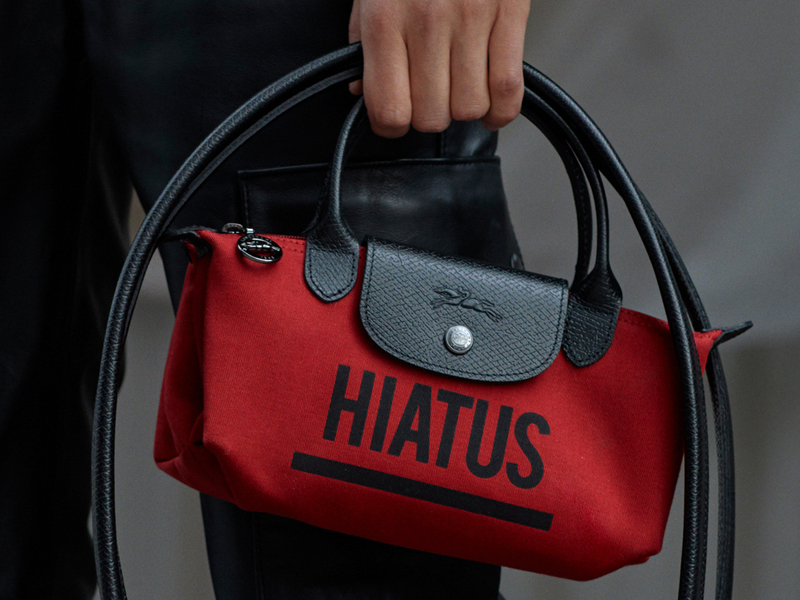 Which is why I’m really excited by Longchamp’s upcoming collaboration with Hood By Air designer, Shayne Oliver. Having taken a hiatus from his own label to work on projects with others, this unisex one with Longchamp is certainly interesting. Instead of just slapping on some random logo, most of the Le Pliage pieces in the upcoming line-up show actual thought put into them. And because good things come in pairs (surely Shayne understood that), his Le Pliage bags are actually doubles, with two separate bags joined at the base. In other words, you can use one compartment for work and the other for play, which is exactly what he intended. Available in at least 3 sizes (I’m calling dibs on the largest and the smallest in Black), most of them also come emblazoned with the word ‘Hiatus’, which pretty much explains itself. There’s another Le Pliage with an exaggerated handle (you can actually sling it across the body), a huge garment bag, clutches with the iconic top handle positioned to the side and becoming a wristlet, each piece more fun and quirky than the next.